Hello friends, today I am writing this article to clarify some rumors about Reliance Jio. We all know that Reliance Jio services are revolutionary and reliance wants to make 10 crore customers in 1 year. Reliance Jio is offering high speed 4G internet and free voice calls, that's why competitors are spreading new rumors every week. These competitors have fear that they will loose their money laundering business and customers. We all are aware of fake 4G speeds of Airtel, IDEA and Vodafone. You can watch ZEE NEWS report on 4G Internet Speed Scam on YouTube. Now these companies are spending more by creating false information against Reliance Jio. Must Read: Jio Call Quality Review. Rumor 1. Once you purchase & insert the Jio SIM, your mobile will be locked for Jio only and no other SIM will work on your phone. We all are living in 21st Century right?. we all are aware of Rules and Regulations made for telecom operators by government. So, How can it be possible to lock your smartphone without your permission? You are the sole owner of your smartphone and not the operator then how can an operator lock your SIM card? Basically a rumor is spreading these days that if you insert a Jio SIM then it will lock your smartphone to use only Jio SIM card. If you have a Dual SIM smartphone, then your sim slot will be locked with that sim. Did you Ever heard about smartphone hacking through Sim Cards? No, Right? Basically Sims are manufactured just to store few Kilobytes of data which is being used to store your contact details. So don't fear about getting locked by using Jio SIMs because there is no technology developed so far to hack your smartphone with Sim Cards. Initially reliance was asking for IMEI numbers just because Jio SIMs were available for only few smartphones including Samsung and LYF. And many were visiting Jio stores with Other Manufacturer's Handsets. So, they have only asked for your IMEI number for verification purposes. But now Jio SIM is available for every 4G smartphone. Reliance Jio have over 10 Million of customers and none of them complain about this issue. You can ask your friends about the truth. I am using Jio and i can use any operator's SIM on my phone. If you still think that there is a chance of getting locked, then you can take every legal action against jio as you have your smartphone bill and you are the owner of your phone and not Jio. So, don't waste your time by reading rumors and get your Jio SIM and enjoy the true welcome offer of the Reliance Jio Network. Rumor 2. After 90 days of Jio offer, your tariff will be enhanced. Reliance Jio is a very big company having 10 million of customers. They are offering free voice and data till 31st December as Reliance Jio Welcome Offer. After 31st December Jio will not increase your tariff. Everything is rumor that jio will charge you more after this welcome offer. Jio has already announced their tariff plans which are highly competitive in this industry. You can check all the plans on their official website www.jio.com. So, think guys when their Tariffs are very clear to everyone why will Jio charge you more? You will still have the option to choose Postpaid or Prepaid connection. So it's clear that Jio cannot charge you more after welcome offer and everything is fully transparent. Rumor 3. You cannot Port your number to other operators. This is again a rumor. 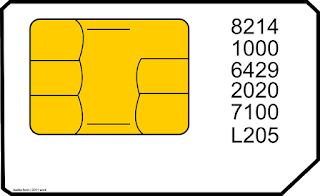 Mobile Number Portability is a facility and mandated by the government of India. Every operator has to follow the rules of MNP. So, to run the network, every operator need to adhere to MNP. And the truth is Reliance Jio is also following this Rule of Government. Guys, it's our Decision of selecting our operator and you are free to Port to your favorite operator. So, don't trust this rumor. You can Port from Reliance Jio to Your selected Operator. Rumor 4. 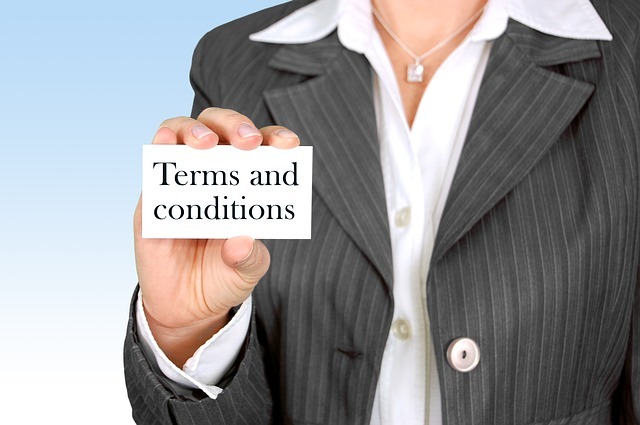 Before signing the documents, read the terms and conditions very carefully. It is good to read every terms and conditions before signing every document. Here some are spreading rumors that please read Terms & Conditions carefully, but they are not telling what is wrong in those terms and conditions. Guys, before trusting anyone always find the proof. Don't trust blindly on everyone. Let me clear you that Reliance Jio's Terms and Conditions are all customer friendly and transparent. Read all and you will find that everything is rumor and other competitors are spreading this. You can also read those terms and conditions at Jio.com. So guys, all 4 Rumors are cleared by me. Go Get your jio sim. Enjoy welcome Offer and if you found any problem with Jio, You are free to Port your Mobile number. Please let me know if you have heard about more rumors, i will clear those too. After 31 first December can reliance jio charge bill of uses of data and voice call ? First check ur connection is prepaid or postpaid.if it is prepaid then there is no chance of sending bills.u need to be aware if u r using a postpaid sim. I got what you meant. What I want to ask if I generated my offer from a phone (not lyf), but then I want to change my handset, will my jio sim still work? yes,but since jio uses 4g connectivity for voice calling, the tariff won't be that much, about 50 rupees per GB data. No they will not block anybody. there is no way of blocking smartphones via SIM cards. JIO SIMS are supported by all 4G enabled smartphones only..
Reliance is not a small or a startup company. They don't need to sell your data to foreign countries. Everything is rumor. Why bar code is required for reliance Jio Sim. Mine as well..... Slot 1 is not working with any other sim. Even not working for the another jio sim. Any solution?